As you lift weights in the gym you are tearing the muscle fibers apart. The weight you lift and how intense your workout is will determine the damage done to your muscles. In this case damage is a good thing. Once you stop working out the muscle begins to repair and builds new muscle. If there is not enough rest time then the muscle can't regrow as it should. Most people get confused and do not understand the concept of recovery or why it is important. They think that muscle is built when they are lifting weights in the gym. They do not want to recognize that when they rest is when the real muscle building occurs. Making this mistake is not a smart move if you want to actually build serious muscle. If you keep hitting the gym and working too much you will get very frustrated because you won't see results. If you do not allow for rest and recovery then you will never see the big muscles that you are working so hard to build. When it comes to building muscle you should have the mindset that less is more. There are two types of rest that you need to ensure for good muscle growth. You need muscular rest which is the actual rest that will allow the muscle to rebuild. This takes about 48 hours. This is why trainers will tell you to not work the same muscle group on consecutive days. Generally you will work a muscle group every other day to allow for muscular rest. The other type of rest is CNS rest. CNS stands for central nervous system. During CNS rest the system is able to recover from the stress weight lifting puts on the body. The amount of time for CNS rest can vary, but you should be able to tell for yourself how long you need. If you are not getting adequate CNS rest then you will have slower reactions, you won't feel on top of your game and you will not be able to do as much before you have to stop. It is CNS rest that can affect your body overall. It can stop you from being able to do strength training two days in a row. Some people may find they must rest every other day to allow for proper recovery. It is important to listen to your body and to allow for weight training rest periods. You are only hurting yourself when you ignore rest. When you factor in rest to your workouts you will find you accomplish more. 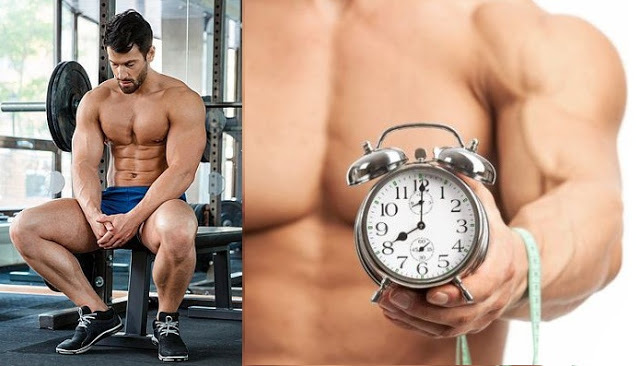 You are able to get a better workout and you build muscle much faster when you include rest periods in your routine. Weight Training rest period are very important in a fitness regimen. Most people get so intense and focused on working out and just keep moving on with their routines that they forget rest is essential to recovery. Muscle is not built during a workout. It is actually built during rest. If you keep going and going without weight training rest periods then there is no recovery time and no muscle built.